January 2014 the Center broke ground on an enterprise student-operated farm. 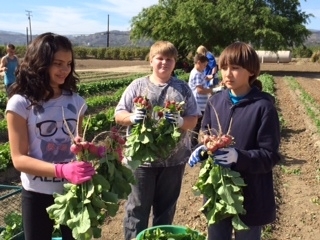 This is a collaborative effort between 4-H Youth Development Programs at the Center and Ventura Unified School District Food and Nutrition Services. Twenty 7th and 8th graders from Balboa Middle School are enrolled in the 17-week after-school program. 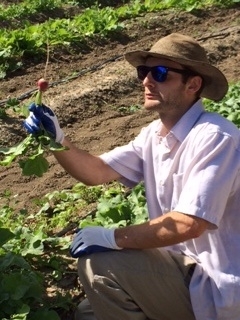 Activities are led by Food Corps member, Chris Massa, currently serving with Ventura Unified where he supports the Farm to School work. Chris holds a Bachelor of Science degree in Natural Resource Conservation from the University of British Columbia. He has three years of hands-on farming experience that ranges from family farms to large scale greenhouse production. He has been a volunteer teacher in his hometown of Colorado as well as abroad in Peru and Argentina. Supporting Chris are HAREC staff, Jose De Soto and Susana Bruzzone-Miller. The experiential learning format of the student farm consists of a short lecture followed by hands-on practice. Weekly topics include Ventura County agriculture, food safety, soils, irrigation, plant biology, integrated pest management, seeds, sustainable food systems, nutrition and cooking. 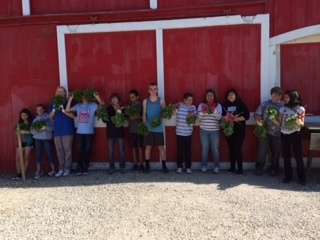 Students participate in monthly field trips to local farms and Ag related businesses to gain a better understanding of agriculture and career opportunities. 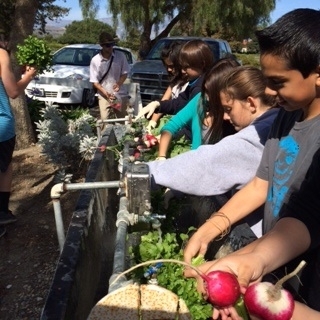 Produce grown on the student farm will be sold back to Balboa's cafeteria to be used in the salad bar. Some will be donated to Food Share, a local food bank. Any subsequent profit will be used to support the program. The students participated in all aspects of the farm from laying down irrigation to weeding the rows. Some of the January plantings are ready and the students proudly harvested and delivered 60 pounds of radishes and 7 pounds of cilantro to the school cafeteria. 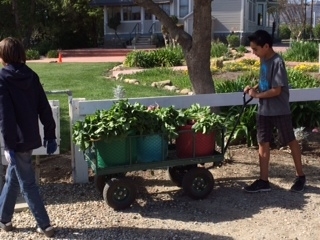 Ten pounds of radishes were harvested and donated to Food Share. 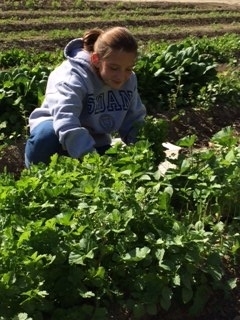 This week student will continue harvesting spinach and cilantro.